Occurs naturally in fruit, used as a preservative it inhibits fungal growth but allows for bacterial activity, hence is useful for cheese. Obtained from the berries of mountain ash. Sorbic acid is used in conjunction with sulphur dioxide in wine making, without SO2 bacteria cause reduction of sorbic acid to sorbyl alcohol which converts to a foul smelling ether. Also used as a preservative in cosmetics and pharmaceuticals. Sorbic acid had a conjugated system of double bonds which makes it susceptible to nucleophilic attack, sometimes giving mutagenic products. Food labelled as containing E200 may actually contain sodium, potassium or calcium sorbate instead (E201, E202 and E203 respectively). Typical products include wine, cheese, other fermented products, desert sauces and fillings, soups, sweets. Other information: May act as an irritant. Sodium sorbate is the sodium salt of sorbic acid. Plays a similar role in food preservation as sorbic acid, E200. Potassium sorbate is the sodium salt of sorbic acid. Plays a similar role in food preservation as sorbic acid, E200. More soluble than sorbic acid. Typical products include cheese, butter, yogurt, preserves, pickles, dried fruit, cakes and wine. The calcium salt of sorbic acid. An antifungal antibacterial preservative. Typical products include fermented dairy produce, wine. Occurs naturally in a variety of produce, but is also industrially synthesised. Benzoic acid is also used in the manufacture of plasticisers, resin coatings and caprolactam. It is an antiseptic, antifungal, antipyretic agent, and can be used as an alkalimetric standard. Typical products include jams, beer, preserved fruit, pickles, fruit juice, desert sauces and syrups. Other information: Harmful if swallowed, may irritate the eyes and lungs. The sodium salt of benzoic acid, sodium benzoate fulfils an antibacterial and antifungal role. Typical products include fruit juice and squash, fruit deserts, pickles and preserves, sauces, shellfish, margarine. Other information: may cause skin irritation, harmful if swallowed. The potassium salt of benzoic acid, potassium benzoate fulfils an antibacterial and antifungal role. Typical products include margarine, pickles, fruit juice. The calcium salt of benzoic acid, calcium benzoate fulfils an antibacterial and antifungal role. Typical products include fruit juice. A derivative of benzoic acid. Has anaesthetic properties and may cause numbness to the mouth. Typical products include beer, fruit preserves and juices, sauces, flavouring syrups, fruit deserts, processed fish. The sodium salt of ethyl para-hydroxybenzoate, used as an antibacterial and antifungal preservative, also has anaesthetic effects. Synthesised from benzoic acid (E200). Antimicrobial, may be a numbing effect on the mouth. Typical products include beer, fruit sauces, pickles and preserves, fruit deserts, fruit squashes and juices, processed fish. The sodium salt of propyl para-hydroxybenzoate, E217 is produced from benzoic acid and is an antimicrobial preservative. May cause irritation to sensitive skin. Synthesised from benzoic acid, methyl para-hydroxybenzoate is a antimicrobial agent. Typical products include beer, fruit products, pickles, sauces, deserts, soft drinks, processed fish. The sodium salt of E218, sodium methyl para-hydroxybenzoate is primarily an antifungal agent. May cause irritation to the skin. Occurs naturally in the atmosphere and as a pollutant gas from combustion processes, sulphur dioxide is implicated in formation of acid rain and has a choking odour. It is commercially produced either by combustion of sulphur, hydrogen sulphide or gypsum. Most industrially produced sulphur dioxide is used in the production of sulphuric acid, but it is also used as a bleach, disinfectant and refrigerant. Used as a preservative in wine for its antibacterial properties, and as a bleaching agent in flour. Sulphur dioxide may be used to fumigate fruit and vegetables to extend their shelf life. Sulphur dioxide may not be used for foods containing a significant amount of thiamine, as this is destroyed by the gas. Similar functional properties are displayed by the sulphites (E221-E227). Typical products include wine, flour, beer, dough products, fresh fruit, dried fruit, fruit fillings and deserts, fruit juices and squashes, jams, fruit sauces and cider. Other information: corrosive when wet, toxic in high concentrations. Sulphurous acid, produced when sulphur dioxide in food is dissolved, may cause gastric irritation. The sodium salt of sulphurous acid. Used to sterilise fermentation equipment and food containers, as well as for its antimicrobial properties. Generally meat, cereals and dairy products may not be treated with E221 as it destroys thiamine content. Over exposure to sulphites in food may cause an asthmatic attack, or cause gastric irritation. Typical products include fresh fruit and vegetables, beer, wine, frruit juices and sauces, frozen shellfish. Other information: Moisture and air sensitive. Possible mutagen. Harmful by inhalation, ingestion and skin contact. Eye, skin and respiratory irritant. Prolonged or repeated exposure may cause allergic reaction. Another sodium salt of sulphurous acid, sulphur dioxide may be released from food containing sulphites. May induce an attack in asthmatics, or cause gastric irritation due to this release of sulphur dioxide. Thiamine is destroyed by sulphites. Sulphites are also used as bleaching agents. Typical products include beer, wine, cider, fruit squashes and juice, fresh fruit and vegetables, frozen shellfish, jams, pickles. Another sodium salt of sulphurous acid, see E222. Used as an antimicrobial preservative, antioxidant and bleaching agent in food. Typical products include preserved fruit and vegetables, pickles, fruit juice, frozen vegetables, frozen shellfish, dried fruits, fruit deserts. Other names: pyrosulphurous acid, disodium salt. Other information: overexposure may cause an allergic reaction. May cause hypersensitivity reactions in sensitive individuals, especially asthmatics. A potassium salt of sulphurous acid, see E222. Used as an antimicrobial preservative, particularly in wine. Typical products include wine, frozen vegetables, fruit juice, fruit preserves, pickles, frozen shellfish. A calcium salt of sulphurous acid, see E222. Used not only as a preservative but also as a firming agent and disinfectant. Typical products include wine, cier, fruit juice, canned fruit and vegetables, fruit pickles and preserves. Another calcium salt of sulphurous acid, see E222. Used not only as a food preservative, but also as a firming agent and disinfectant in food preparation. Typical products include beer, canned fruit and vegetables, jams, pickles, fruit juice, fruit jelly. Another potassium salt of sulphurous acid, see E222. Used not only as a food preservative, but also as a firming agent and disinfectant in food preparation. An antifungal derivative of benzene, used to inhibit the growth of mould on citrus fruits. Typical products include oranges, lemons, grapefruits. Physical appearance: white scales with pleasant odour. Other information: may cause irritation to the skin, eyes and lungs. Ingestion may cause vomiting, headaches, dizziness, gastrointestinal irritation. May cause central nervous system depression in large quantities. Used as an antibacterial and antifungal preservative in food. Typical products include oranges, lemons, grapefruits, other citrus fruits. The sodium salt of E231, used as an antibacterial and antifungal preservative in food. Thiabendazole is used as a preservative in food, but it is also a fungicide and used in the veterinary profession. Other information: Shows teratogenic activity in mice. Nisin is produced during the growth of bacterium Streptococcus lactis and is a polypeptide antibiotic used in food as a preservative. Typical products include cheese and other dairy produce. Formic acid is used as a preservative in food, and also in manufacture of leather and preparation of latex rubber. It occurs naturally in ants, is completely soluble in water, and in solution exists as hydrogen-bonded dimers.  It is industrially synthesised from carbon monoxide, and is thought to exist in two resonance forms. Formic acid has diuretic properties. Other information: Corrosive, causes severe burns. Harmful by inhalation, ingestion and through skin absorption. Readily absorbed through skin. Very destructive of mucous membranes and upper respiratory tract, eyes and skin. Inhalation may be fatal. This is the sodium salt of formic acid, E236, formerly used as a diuretic. Other information: Skin, eye and respiratory tract irritant. This is the calcium salt of formic acid, E236, formerly used as a diuretic. Hexamine is an antibacterial agent and a physiologically active compound due to the presence of N. It is manufactured using formaldehyde and ammonia, and prolonged ingestion may result in stomach upsets. Hexamine may be carcinogenic. Typical products include marinated fish. Other information: May act as a skin, eye or respiratory irritant. Formaldehyde is the most important industrial aldehyde with about 8 billion pounds of formaldehyde being made each year. The industrial synthesis of formaldehyde involves methanol. The incomplete combustion of organic compounds results in formaldehyde formation, hence smoked foods are preserved not only by phenolic substances present in the smoke, by the formaldehyde coating. It is also used as a disinfectant and a fungicide. Its main application is in the preparation of phenolic resins (or phenol-formaldehyde copolymers, e.g. bakelite). Formaldehyde is also used in the preparation of ribose. Other information: Causes burns. Very toxic by inhalation, ingestion and through skin absorption. Readily absorbed through skin. Possible cancer hazard. Mutagen. May cause damage to kidneys. May cause allergic reactions. May cause sensitisation. May cause heritable genetic damage. Lachrymator. Very destructive of mucous membranes and upper respiratory tract, eyes and skin. Potassium nitrite is the potassium salt of nitrous acid and is used as a curing agent and preservative in meat. Excessive ingestion may result in such high concentrations of nitrites in the bloodstream that reduced concentrations of oxygen are carried by haemoglobin in red blood cells, leading to dizziness and headaches. Nitrites may also form nitrosamines in the stomach, thought to be carcinogenic agents. Potassium nitrite inhibits the growth of bacteria responsible for botulism, retards development of rancidity, and preserves flavours. Less than 10% of nitrate (nitrite) intake is from cured meats, with the rest coming from mainly root vegetables. Typical products include processed meats, cured and smoked meat and fish, root vegetables. Other information: Harmful if swallowed. Laboratory tests suggest that this material may be mutagenic or teratogenic. Eye, skin and respiratory irritant. Sodium nitrite is the sodium salt of nitrous acid. See E249. Other information: Toxic. May be fatal if swallowed. Eye, skin and respiratory irritant. Some laboratory experiments suggest that this material may act as a carcinogen. Sodium nitrate is a natural mineral, occurring in great abundance in the Atacama desert (hence the name Chile saltpetre). It is used as a preservative and curing agent in meat. See E249, potassium nitrite. Other information: Harmful if swallowed or inhaled. Skin, eye and respiratory irritant. Potassium nitrate is a naturally occurring mineral used as a preservative and curing agent in meat. It is artificially manufactured by the reaction of potassium chloride with nitric acid. See E249, potassium nitrite. Potassium nitrate is used in fireworks as well as fertilisers. Other information: Harmful if swallowed. May cause reproductive disorders. Acetic acid (ethanoic acid) has been used for hundreds of years as a preservative (vinegar, French for "sour wine"). If during the fermentation of grapes or other fruits, oxygen is allowed into the container, then bacteria convert the ethanol present into ethanoic acid causing the wine to turn sour. Acetic acid may be synthetically produced using methanol carbonylation, acetaldehyde oxidation, or butane/naphtha oxidation. Pure acetic acid is termed "glacial", and is completely miscible with water. Typical products include fish fingers, butter, margarine, processed cheese, curry powder, cooking oil. Other information: Acetic acid is strongly corrosive and causes serious burns, as well as being a lachrymator. The potassium salt of acetic acid, E260. In industry is used to aid conditioning of fabrics, used in the manufacture of penicillin. Other information: May irritate the skin, eyes and lungs. The sodium salt of acetic acid, E260. Acts as a buffer in foods. Technical grade sodium acetate is used as a mordant in dyeing processes, as buffers in petroleum production, and for kidney dialysis processes. In plastic manufacturing it is used as a retarder for some elastomers. 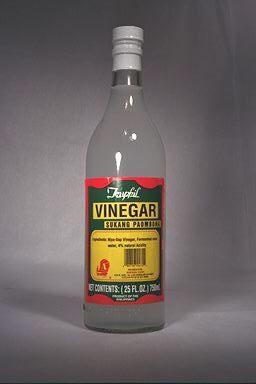 A vinegar used as a mould inhibitor in snack foods and bread, as a flavour enhancer in breads, cakes, cheese and snack food. Technical grade sodium hydrogen acetate is used as a buffer in petroleum production. Typical products include bread, crisps and other snack foods, cheese, cakes. Calcium acetate is used in food as a thickening agent (cake mixtures, puddings, pie fillings), as a buffer in controlling the pH of food during processing, as a preservative to prevent microbial growth, and as a calcium supplement in pet products. In other areas of industry calcium acetate is used in dyeing and printing. Typical products include packet deserts, pie fillings. Other information: May cause eye, skin or respiratory irritation. Mutagenic effects noted in laboratory tests. Other information: May be harmful by inhalation or ingestion. Irritant. Propionic acid is used as an antifungal agent in food. It is naturally occurring as one of the products of digestion of cellulose in herbivorous animals. It is commercially synthesised from many different methods, including from ethylene, carbon monoxide and steam; or from natural gas. Typical products include dairy produce, particularly cheese, baking products. Other information: Corrosive - causes burns. Harmful if swallowed. Liquid may burn eyes. Severe eye and skin irritant. Sodium propionate is the sodium salt of propionic acid, E280. It is used as an antimicrobial agent in bread to prevent germination of some types of bacteria which causes sticky yellow patches to occur. Typical products include bakery products, dairy products. Other information: May irritate the eyes and skin, readily absorbed through the skin. Calcium propionate is the calcium salt of propionic acid, E280. It is used as an antimicrobial agent in bread to prevent germination of some types of bacteria which causes sticky yellow patches to occur. Potassium propionate is the potassium salt of propionic acid, E280. It is used as an antimicrobial agent in bread to prevent germination of some types of bacteria which causes sticky yellow patches to occur. Boric acid is best known for being an antiseptic, but it is also used in insecticides, leather finishing, paints, soaps, wood preserving, and in ceramics and glass manufacturing. Boric acid is industrially synthesised by treating borax with strong acid. 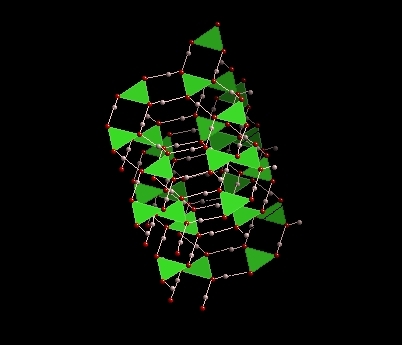 Boric acid forms crystals in which a planar array of BO3 units is joined by unsymmetrical H bonds. Other information: Ingestion is harmful and may be fatal. Harmful by inhalation. Irritant. May cause congenital malformation in the fetus. Laboratory tests with animals suggest this material may cause reproductive disorders. Borax has many industrial uses including as an added ingredient in washing powders, water softeners and soaps. Borax is also mixed with clay and other substances to produce porcelain enamels which is used in pottery, sinks etc. It is also used in the glass industry, the textile industry, in tanning leather, and in the manufacture of paper. Borax is obtained by mining of boron-containing rocks, or by recrystallisation from water sources. A major source of borax is the mineral kernite, abundant in the Mojave Desert. Other information: Possible risk that this may cause reproductive disorders, based on tests with laboratory animals. Eye and skin irritant. Harmful by ingestion. May be harmful by inhalation. Other information: Toxic by inhalation, ingestion and through skin contact. Inhalation can cause serious lung damage and may be fatal. 1000ppm (0.1%) is likely to be fatal after a few deep breaths, and half that concentration fatal after a few minutes. May irritate or burn skin. Other information: Corrosive, Severe respiratory and eye irritant. Lysozyme is obtained from chicken egg white. Other information: May be harmful by inhalation or ingestion, or act as an irritant.